The new Peggy Bosmyer Christian Formation Center is now home to three new groups for those seeking recovery related to addiction. 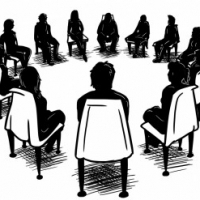 Al-Anon is offering the "Spiritual Connections Al-Anon Family Group" on Wednesdays at 12:30 and Thursdays at 5:30 p.m. Al-Anon is a support group for individuals who have loved ones or family members whose addiction has affected them. Contact Wendy for more information: 352-1116. These groups are here to serve both members of St. Margaret's and of the wider community. All three groups meet downstairs in the new building. If you or someone you know may benefit, please take advantage of this opportunity for healing.